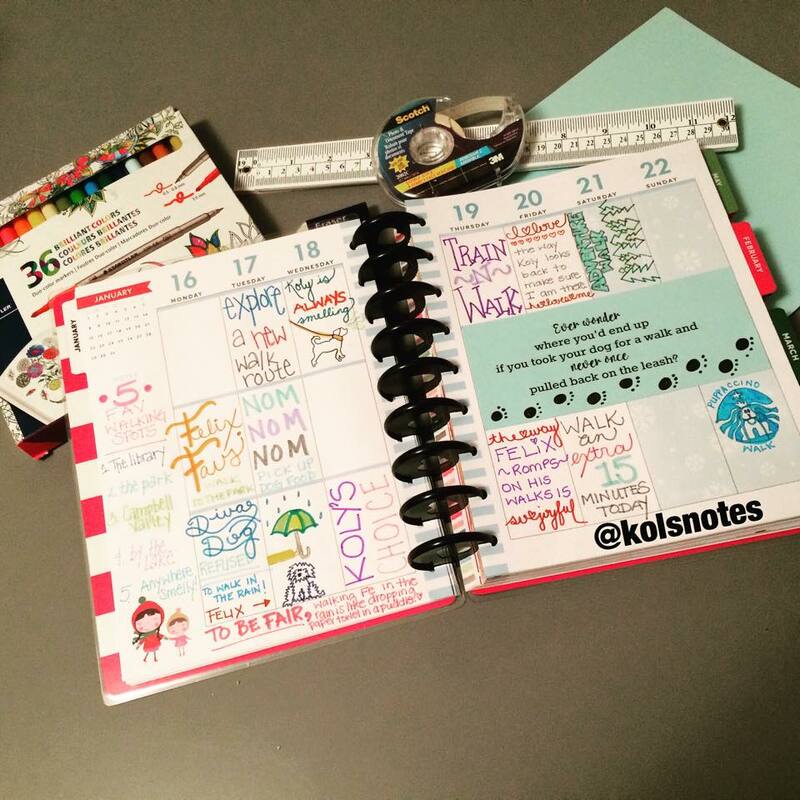 Holla to my planner peeps! 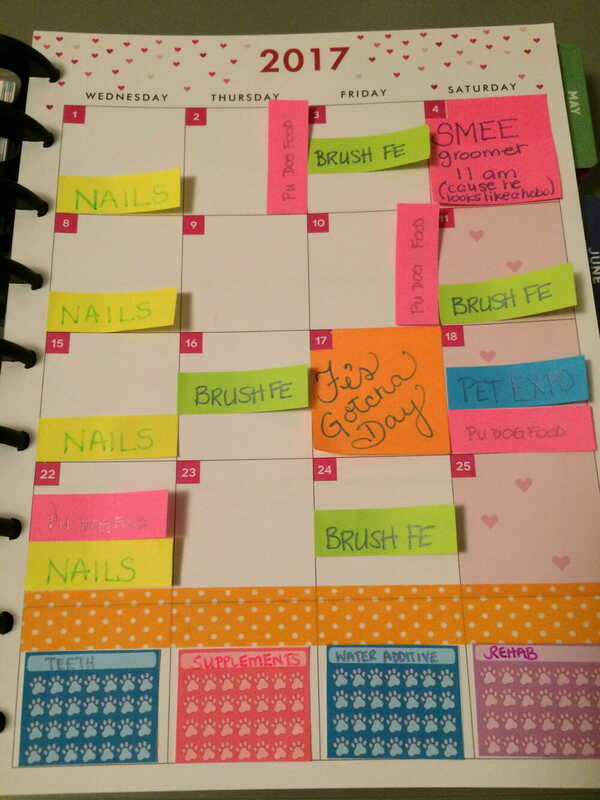 How is your Pet Planner going? Has everyone opened the book and written something in it? I’m hearing whispers from the interweb that some of you are worried that your handwriting isn’t good enough or that you’ll make a mistake and wreck the whole darn book or that you have the wrong pens or something. Your dog doesn’t give a damn what your hand writing looks like. This book is meant to help you capture all the best things about sharing your life with your pets, to help you make your relationships with those adorable four-legs even better and to create something that you can flip back through and smile. Your hand writing is good enough. Dollar store pens get the job done. You’ve got this. So, please, PLEASE don’t be afraid to get started. In January, a lot of my spreads featured special bonding activities with my dogs. We explored ways to may our walks more engaging and enriching for the dogs. I made sure I set time aside to play and to put my electronics away and focus on spending time with the muppets. I planned fun ways to make my relationship with my pets stronger. In February, I want to focus on good habit building for those things that are a little less fun. I love my pets. I do! 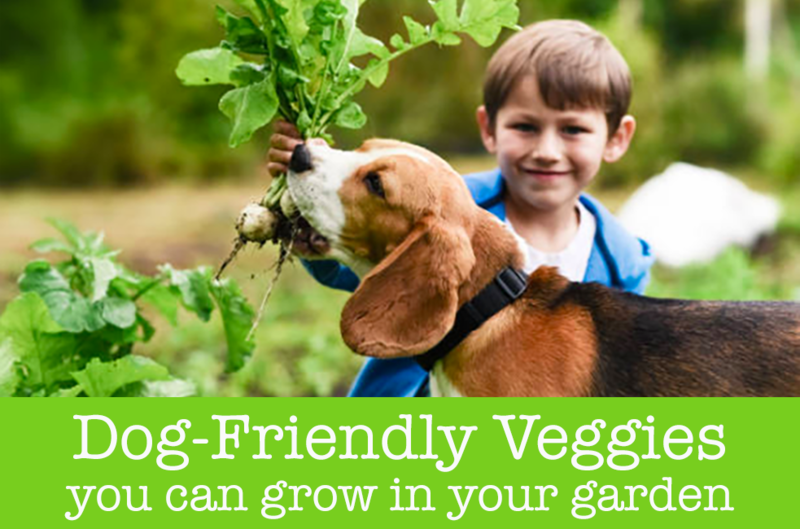 I take pretty darn good care of them, but there are things that a lot of pet owners aren’t as diligent about as they could be. Those moments, when you look at your dog (let’s call him Felix) and you’re like “Holy geeze, you look like a vagrant, when is the last time someone groomed you? !” I mean, he’s clean and healthy, but he needs a hair cut, someone has to brush out his belly all the flipping time, and no matter what I do, his darn nails keep growing. Dogs need a crap load of upkeep! I’m still planning to include the fun bonding and relationship building stuff in our weekly layouts, but planning my best life with pets is more than just fun and games, it’s the tedious stuff too. Week two will mark 10 years, TEN, that Felix has been with our family. I feel like I love him more every day, so we’ll be focusing on capturing Gotcha Day memories, while our lovely partner in planning, the brilliant Maggie from Oh My Dog! tackles the pretty pink glamness that is Valentine’s Day. We’ve got a couple of crazy adorable free printable sticker sets coming – one for dog lovers and one for cat lovers, so don’t forget to check back later this week to snag your copy. 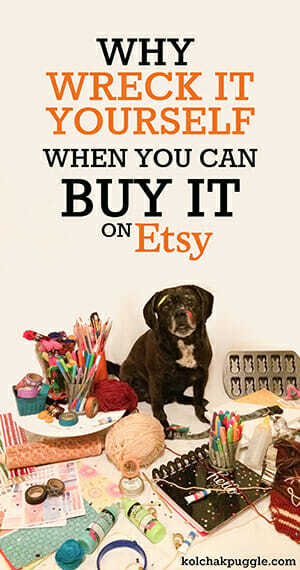 I’m still totally loving the Pet Photography Challenge hosted by Kama from Chi Pets. If you’re looking for inspiration on what photos to take each week and use in your memory planner, I totally recommend this challenge. Not just because the weekly prompts keep me from overthinking it, but because I am learning SO MUCH and this group is so helpful. I really feel like I’ve improved a ton in just a month. I am CRAZY excited over this week’s bokeh challenge because I have never been able to figure this one out and kind of chalked it up to witchcraft, but Kama and Iryna make it sound so simple. You can take part by joining the Pet Photogrpahy Challenge facebook group. So, tell me, how is YOUR Best Life Pets Planner going? What do you love? Are you struggling with anything? What habits do you want to work on with your pets? I’ve been slacking with my planner. I think I need a better place to keep it. Right now it is in the drawer in my desk, but I think out of sight is out of mind. If you were more outdoorsy I would say you should totally join me for my goal project this year, hiking new trails and visiting new beaches as much as possible. But I remember your views of camping, so I have a feeling that isn’t really your thing. I totally agree witht he “having it out”. I have to keep mine close at hand or I won’t use them. Luckily, clutter doesn’t drive me crazy lol. I like the beach a lot. Does that count? Can I claim to be “outdoorsy” if I like the beach and drinking on patios?? 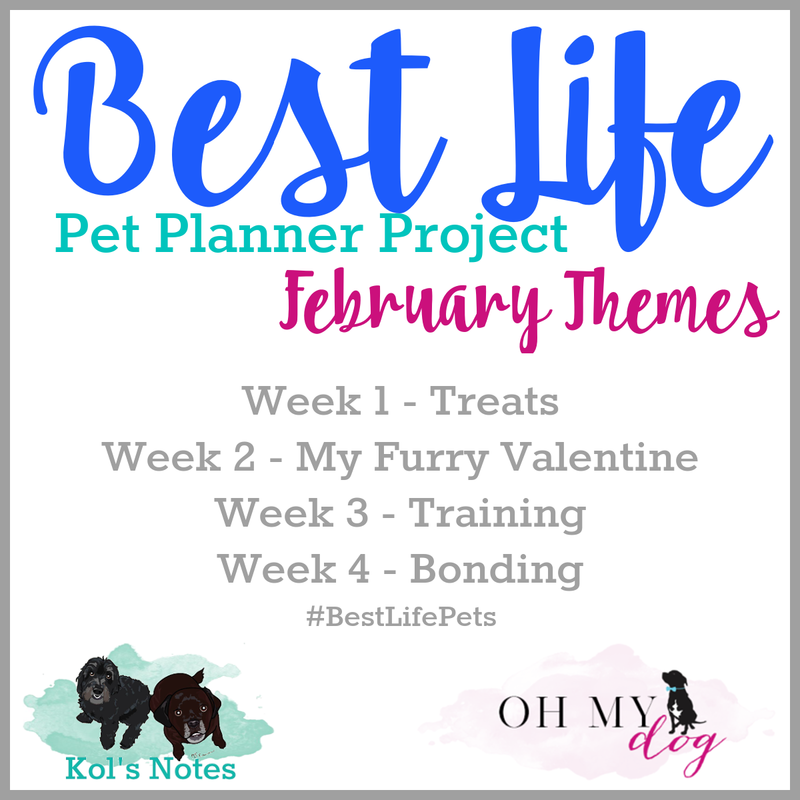 You had me at Pet and Planner! I saw your post on Facebook a few days ago and couldn’t get to Michael’s fast enough. lol I am a pretty organized person when it comes to taking care of household things and life in general. 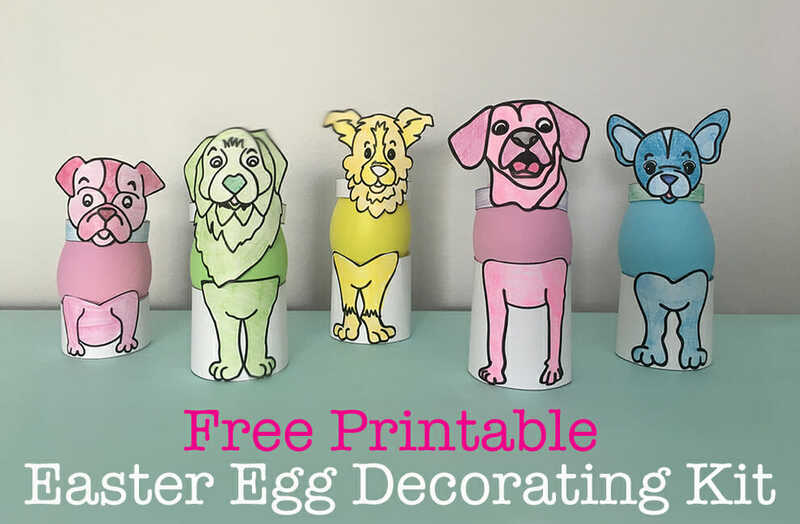 I need a lot of work when it comes to planning my blog posts and setting a grooming schedule for my Goldens so I think this is just the thing I need. 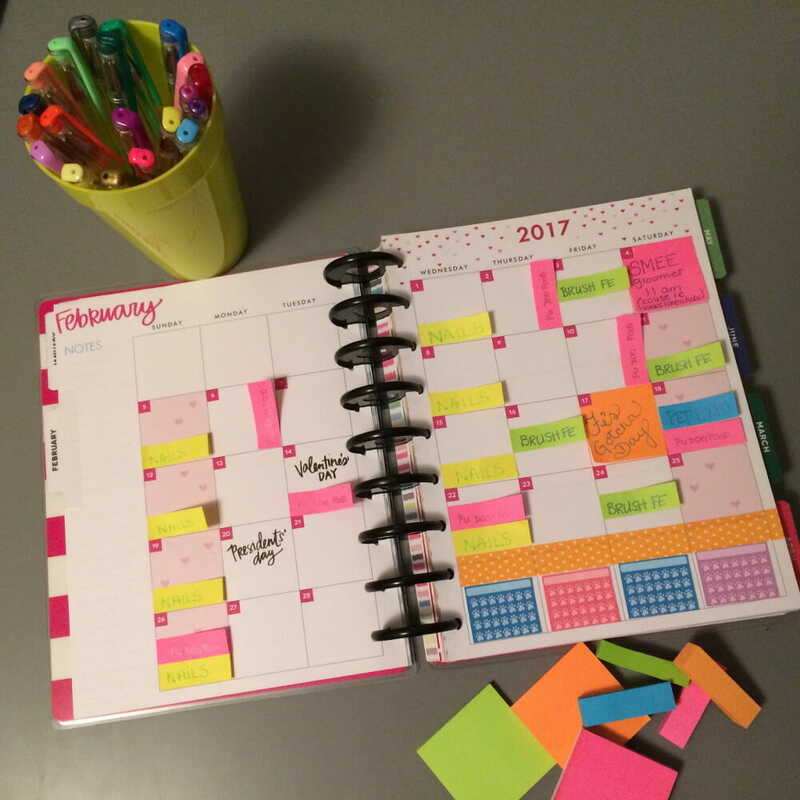 Your post it-hack might be the thing that pushes me to get a planner. I have an obscene fear of commitment. Sure, I’m married with 5 kids, 3 dogs, and cat, but putting something on paper….that just overwhelms me. I can’t bear the silent judgment of missing deadlines that I made. I am also quite cheap so the thought of buying expensive post-it notes also seems like a bad idea. Thank you! If you have one of those old school guillotine paper cutters, you can split a fairly big stack all at the same time, so you don’t have to cut them with scissors. And I HEAR YOU on the commitment. You can also get repositionable sticker paper. It’s the bees knees. I love this, Jodi! I recently came across your blog and can’t get enough of it! I’m sad I didn’t come across this Planner idea earlier since I missed January- but February isn’t a bad place to start either. I’m excited to get mine started with my new pup! Welcome to the challenge Sarah! Jump in where you are. 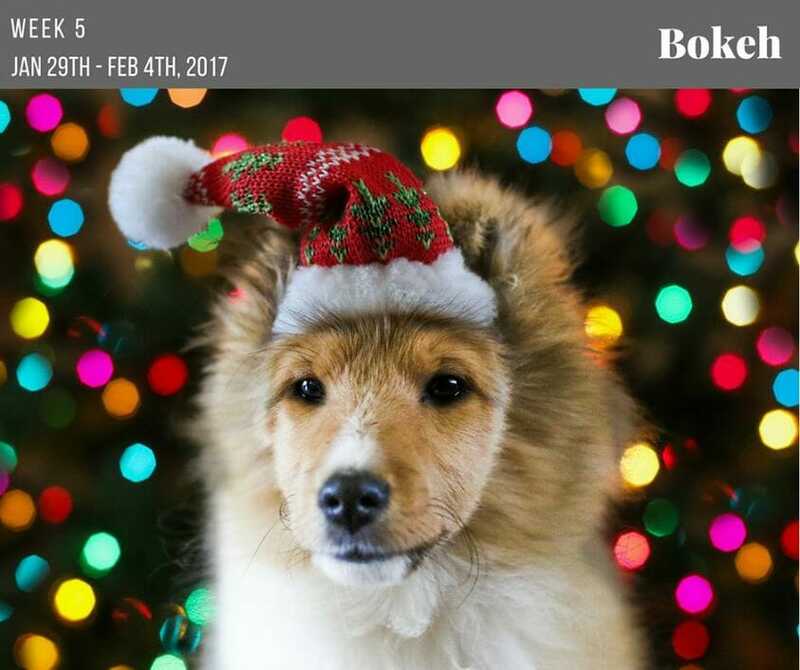 If it *really bothers* you – you can always go back and complete the January pages just with memories instead of with planning reminders in there 🙂 What kind of pup do you have?